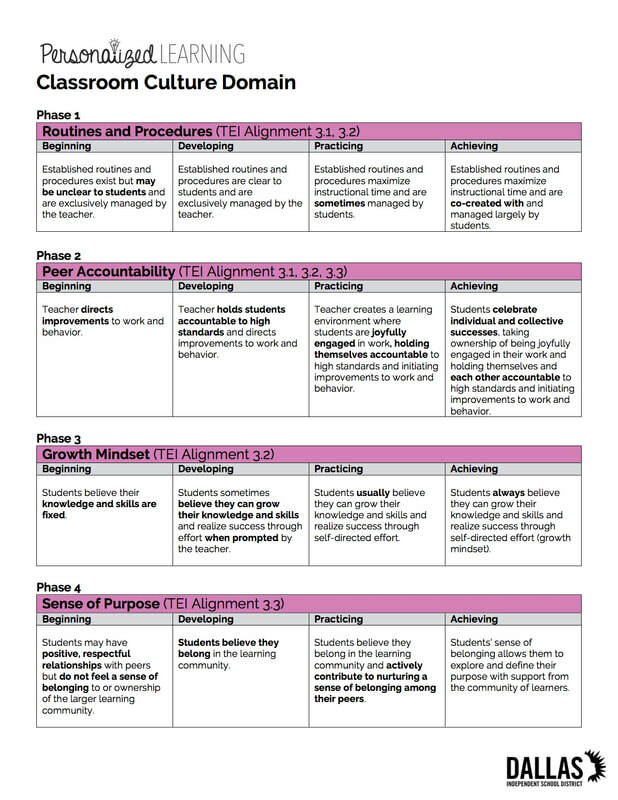 The Personalized Learning Coaching and Development Tool defines five domains and twenty high-leverage teacher and student actions which distinguish effective personalized learning environments. 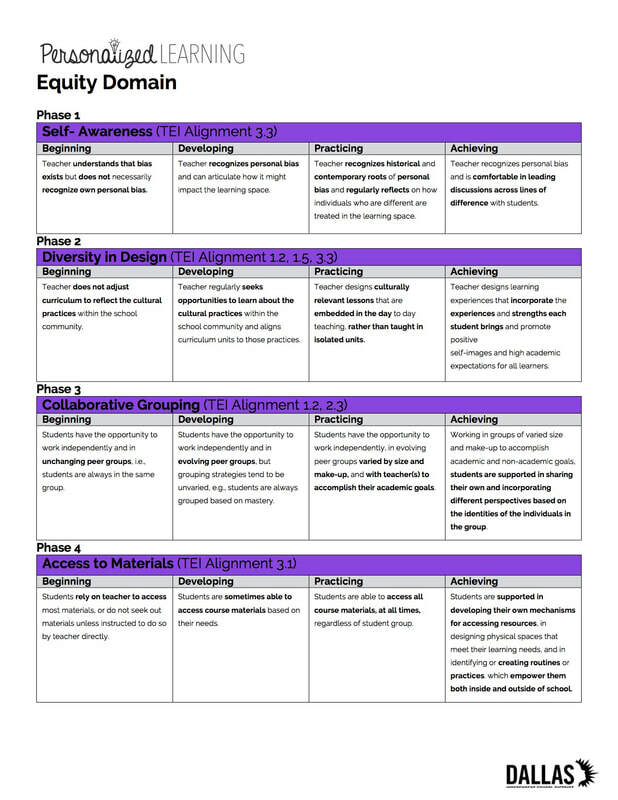 The tool is carefully scaffolded across four levels of proficiency for each action. 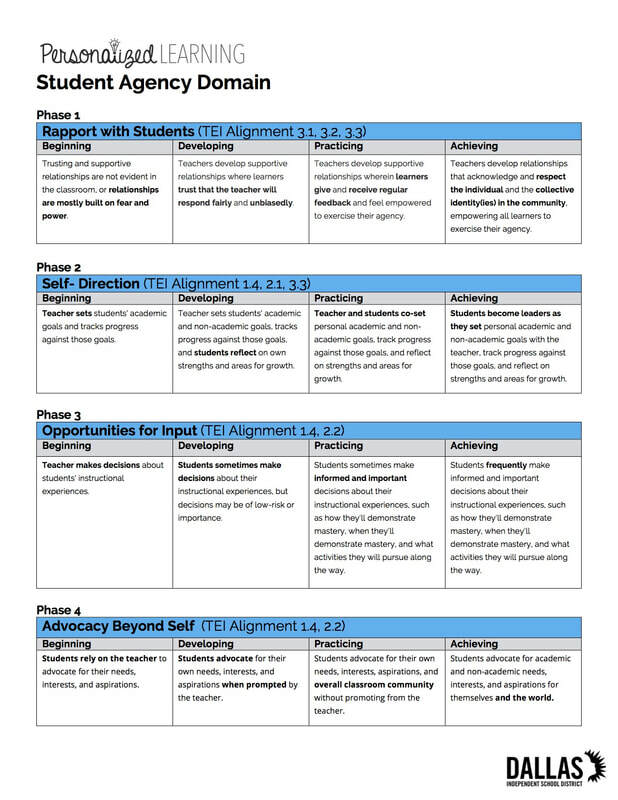 In Phase 1, prioritized strands are foundational skills in a personalized learning environment. Without these as a baseline, increasingly complex personalization will be challenging. 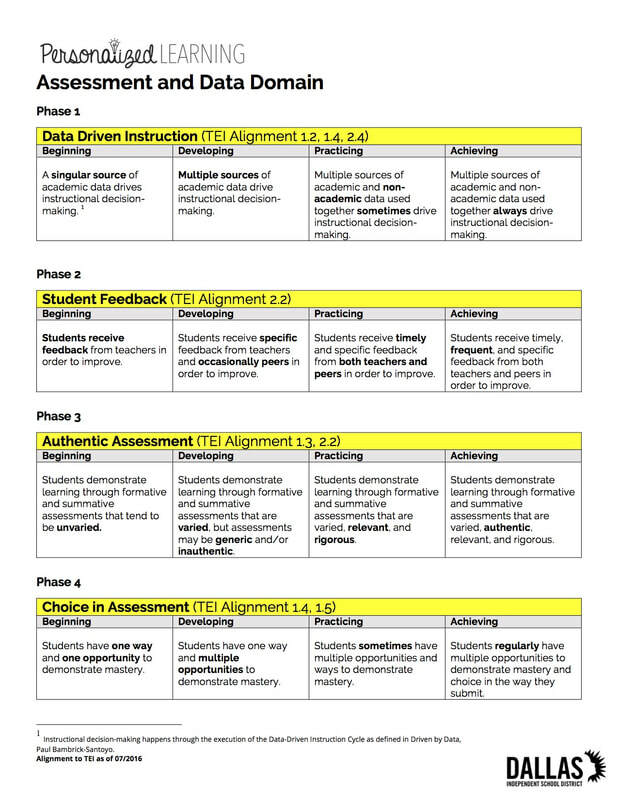 In Phase 2, prioritized strands are aligned to personalization at the individual student level, e.g., personalized formative assessments, customized pathways, etc. The central PL team aligns all professional development opportunities (e.g., Design Studios, campus observations/feedback, coordinator working sessions, CIC roll-alike sessions, virtual sessions, etc.) to the five domains on the rubric. 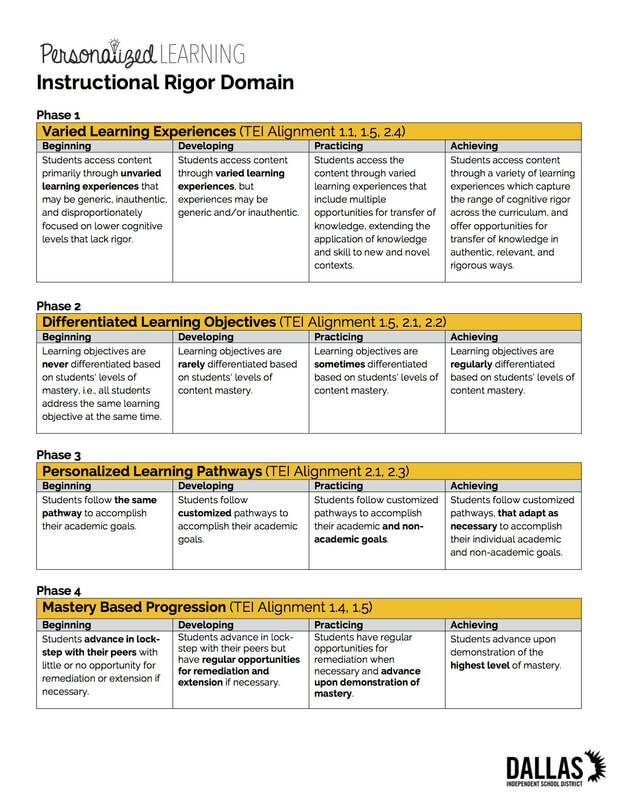 Focusing on Phase 1 strands first and will transition to Phase 2 and 3 strands as the cohort builds capacity over time.